Aleksey received a suspended sentence but the court ordered him to remain under house arrest until all possibilities for appeals are extinguished the sentence comes into force. Navalny also told his party colleagues that in 2016 they must run primaries and come up with a list of candidates. He added that he expected the authorities to bar all these people from participation and in this case the party must back other candidates from the opposition coalition – a relatively small group of pro-market personalities and movements. The Party of Progress leader also noted in his speech that when the authorities bar candidates from the polls all activists must take into streets. “Nobody would include us in the election bulletins if we don’t make them do so through mass rallies,” Interfax quoted the activist as saying. The Party of Progress was officially registered by the Justice Ministry in February 2014 after a lengthy row with environmentalists and freemasons, who claimed that they had more rights for the project’s initially-intended name. Aleksey Navalny has gained significant popularity because of his anti-corruption blog and his role in creation of a web-based crowd funded anti-corruption project RosPil. From the beginning Navalny has been extremely critical of the authorities, especially of the ruling centrist party United Russia, blaming them for creating and maintaining the system that allows for tremendous corruption schemes. In 2013, he ran for Moscow mayor and came second with over 27 percent of votes. After the poll Navalny said he has enough public support to officially associate with the party of his supporters. Up to then he preferred informal cooperation, claiming that otherwise the authorities would apply pressure to a young project. Despite his constant anti-corruption rhetoric, Navalny himself has become a suspect in several criminal cases involving graft and embezzlement. 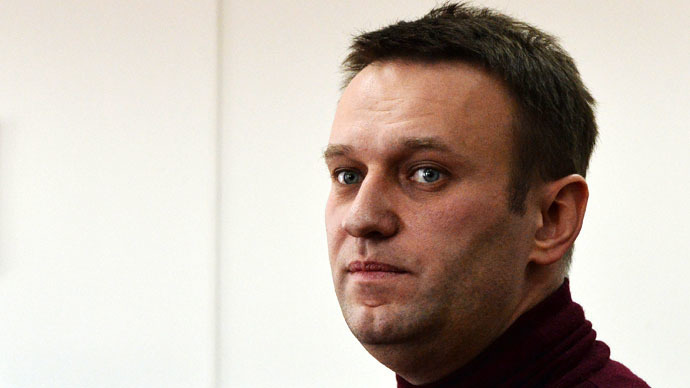 Two of them have already ended in a conviction – apart from the abovementioned Yves Rocher case, Navalny received a five-year suspended sentence for his role in the large-scale embezzlement at a state owned timber company Kirovles.